LA JOLLA –Xolos Academy FC had a presence at the La Jolla Labor Day Classic tournament with two teams competing in the event. The Under 13 and Under 18/19 squads took part and finished with good results. 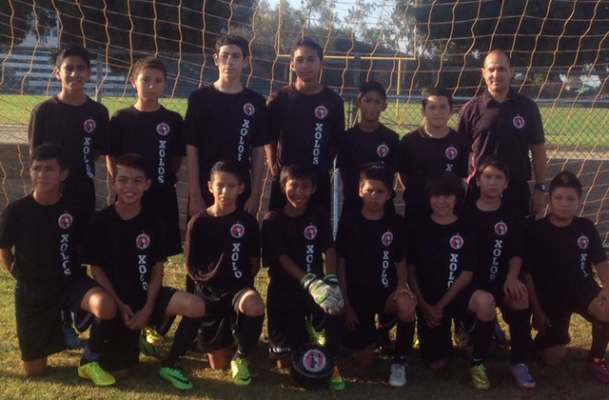 The Under-13 team coached by Luis Guerra reached the semifinals in its bracket, losing 3-2 to Baldwin Park United. The Under-18/19 team coached by Rene Ortiz and Rafael Palacios reached the championship round where, finishing as the runner up. Strikers FC of Irvine clinched the title with a 3-0 win against the Xoloitzcuintles. Guerra’s squad reached the semifinals after finishing with 19 points and a 2-1 record in-group play. The U-13 Xoloitzcuintles beat Encinitas Express Blue 2-1 and beat OVC by the same score before losing to Baldwin Park. The Under-18/19 team finished with 21 points with a 2-1 record, beating Hawks 5-1 and beating Arsenal Elite 4-1 before losing to Strikers in the final.